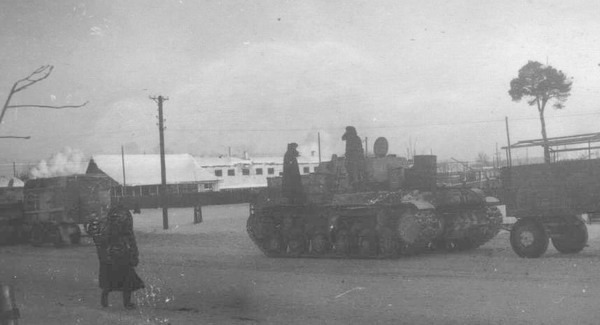 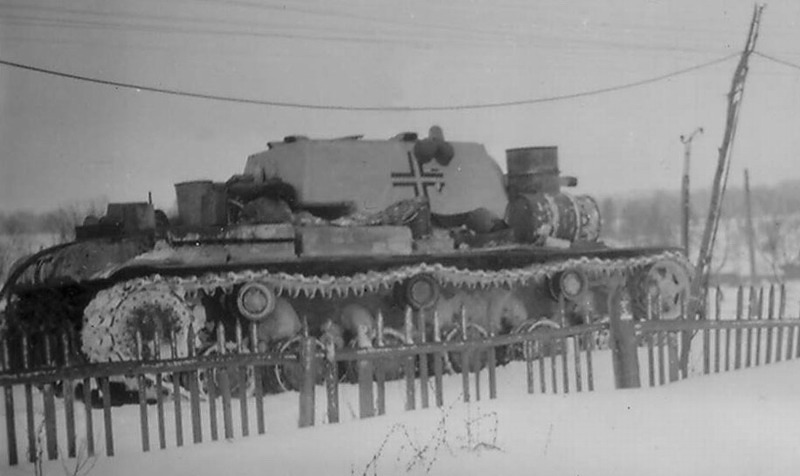 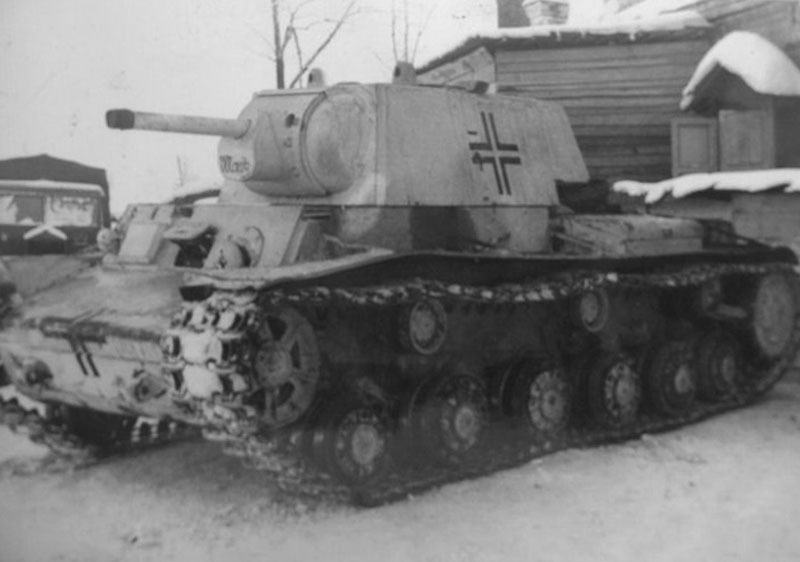 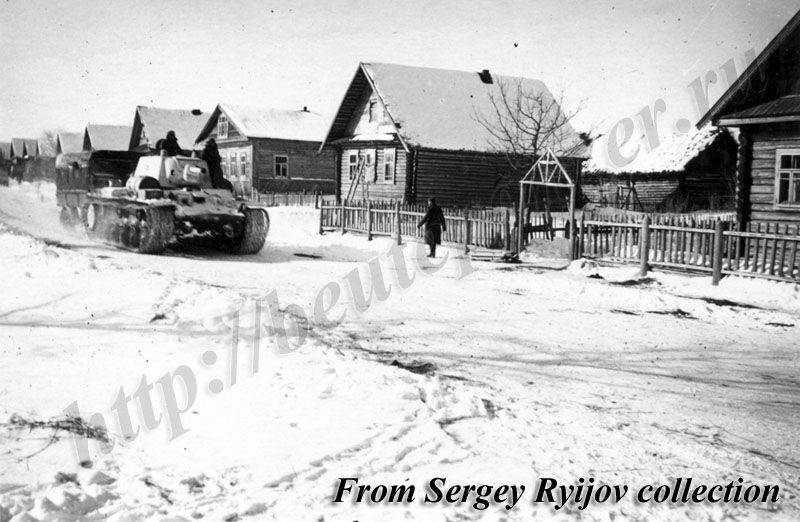 KV-1 with "Mack" name with trailer run on the winter streeti in the village near Leningrad. 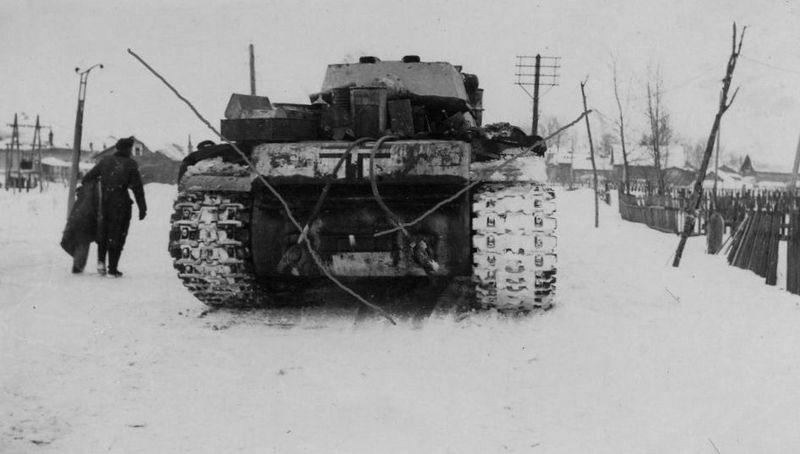 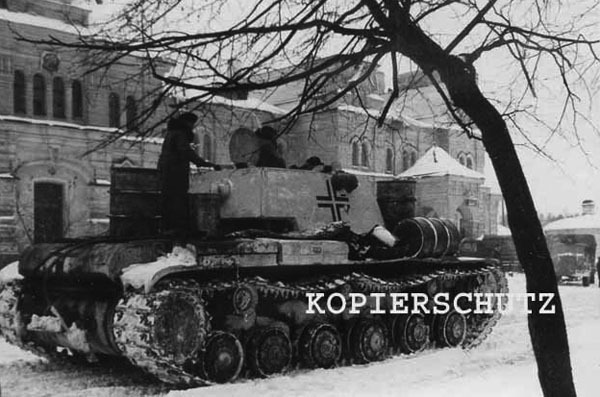 Germans captured tanks . 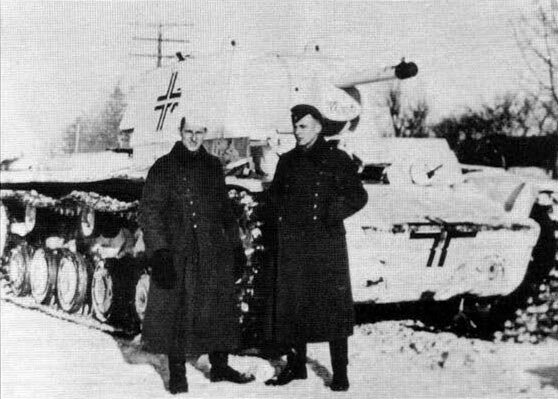 Probably the KV-1 tanks with "Marta" name on the left. 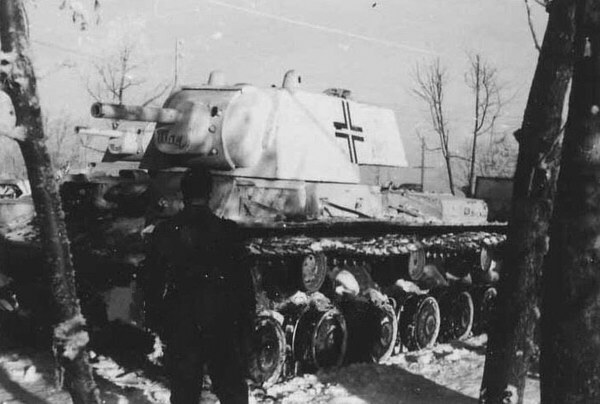 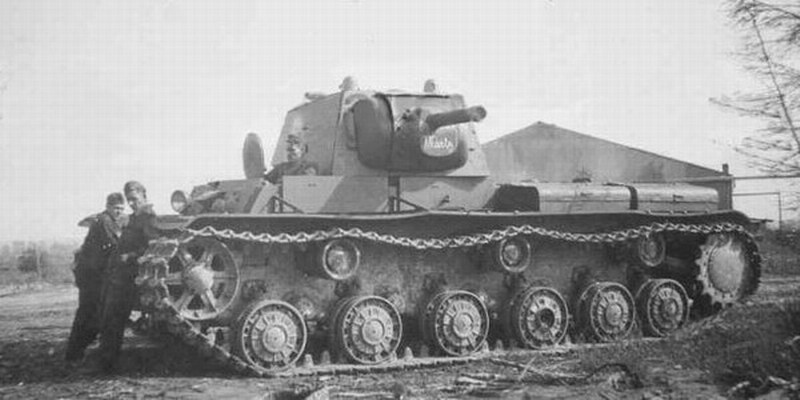 Germans captured KV-1 tank, note a germans black crosses on the board and rear plate.